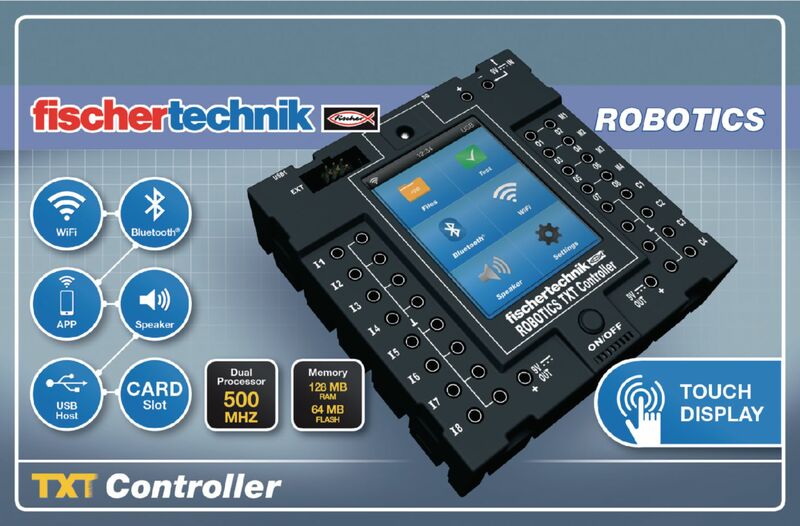 The compact ROBOTICS TXT Controller (90x90x25mm) can be controlled easily with the color 2.4“ touch display. The combined Bluetooth/Wi-Fi RF module provides the perfect, wireless interface for numerous applications. The numerous interfaces also include a USB host port for USB sticks and other components such as the Fishertechnik USB camera. The integrated Micro SD card slot allows expansion of the memory capacity. Controllers can easily be coupled. REQUIRES Accu Set or Power Set.